Neste Corporation has launched a beta version of EduCycle, an augmented reality game that teaches children 12 and older about the environmental impacts of carbon dioxide emissions, in a San Fransisco school. Played on a game board viewed through an iPad and a dedicated app, the game simulates the impacts of players' choices in a virtual city. "We wanted to create a fun but educational game that teaches kids, and adults too, about the factors impacting the environment," said Jeremy Baines, VP Sales, Neste North America, in a press release. "As the game shows, making the right choices can be surprisingly difficult. Climate change is a serious issue, and we strongly believe education is one of the most important tools we have for positively affecting the future of our planet." Sustainable Realities: Hacking the Future in VR, AR & 360, the first virtual/augmented reality and 360-degree video hackathon focused on climate change, will take place on Earth Day weekend in the Boston area, April 21–23. Participants in the free event will produce immersive content on environmental issues. The event starts at 5:30 p.m. ET on April 21 at the Public VR Lab, a project of the Brookline Interactive Group (BIG). Ecohackers interested in participating can register via EventBrite. 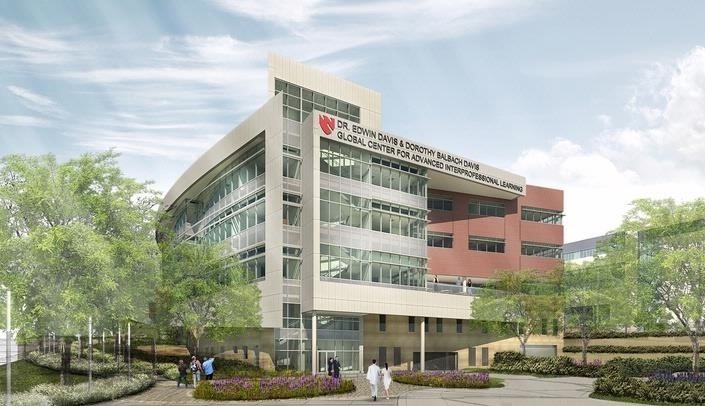 Last week, the University of Nebraska Medical Center began construction of a new $118.9 million facility for training medical professionals in augmented and virtual reality in healthcare. The Dr. Edwin Davis and Dorothy Balbach Global Center for Advanced Interprofessional Learning (or the Davis Global Center for short) will be the new home of UNMC's Interprofessional Experiential Center for Enduring Learning (iEXCEL) program. The center will promote hands-on learning through human patient simulators, surgical simulation, and interactive technology, including head-mounted displays, touch-screen learning walls, and 3-D virtual environments. Marketing agency Direct Agents has established Digital Content Lab, an in-house creative team for design, strategy, and content services. A major component of the Digital Content Lab will be video production, which includes 360-degree video and augmented/virtual reality content. The lab will also provide social media management and channel distribution. "The average online viewer is exposed to about 5,000 ad messages per day, according to Fast Company. Our solution, Digital Content Lab, will help your brand stay top of mind through custom tailored creative and content," said Dinesh Boaz, Cofounder and CCO at Direct Agents, in a press release.